When downsizing your life you may not be able to afford an expensive holiday. There are ways to have an enjoyable holiday without it costing a fortune. Home exchange breaks are one way of achieving this. We all love our homes but for several weeks each year it is enjoyable to visit another UK town or country overseas. By swapping homes with another person you can enjoy your break and still live in a family home. 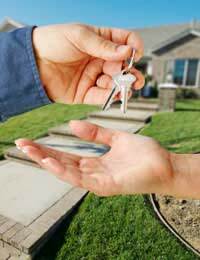 With a mutual exchange through a club or agency you are assured that your home is in good hands while you are away. Join a club or agency and register your home for a swap. You can indicate which areas you would like to visit and will soon find someone from that area who would like to stay in your home. Think of the savings you will make by not having to pay out for expensive hotel rooms. Apart from your flight and insurance costs your holiday will be free. On top of that your plants will be watered and your lawn cut! It is common for home owners to worry about the security of their home whilst they are away, after all strangers will be staying in their home with personal effects being on show. If you are worried about leaving private items on display you could always lock them away before you leave. Don’t forget that the people who own the house you are staying in will possibly have the same worries. The world is your oyster when home swapping and the list of where to go is only limited by the number of people who belong to the home exchange club that you belong to. You should be able to view properties that are on the books of the agency before you pay a membership fee. Fees vary between agencies but should be between £25 and £50 per year. If you live in a rented property you will need the permission of your landlord before agreeing to a holiday home swap. Be prepared for visitors into your home. Have clean bed linen ready and give the house an extra spring clean. Flowers and a bottle of wine to welcome the visitors will be very acceptable. It could be that your visitors will have journeyed a long way to get to your home so a prepared meal in the freezer is a welcome sight. There is nothing more infuriating than renting a property and not being able to find the fuse box or where to turn off the water in cases of emergency. Washing machines, microwave ovens and cookers all seem to operate differently so a pile of instruction leaflets left in view would be really helpful. By noting down a few household facts in a notebook your visitors will be able to cope if anything should go wrong. Perhaps a neighbour or friend would be available if the visitors are really stuck – leave a contact number in the notebook. Collect information on local tourist spots and how to get to the coast. Train and bus timetables are also handy along with information on dentists, doctors and hospital emergency details. It may be that there are local events that your guests will enjoy and don’t forget to mention church service times as well. Imagine what you would like to know when visiting a strange town and provide the same service for your guests. When planning to swap homes a little planning and consideration will go a long way to make the visitors stay in your home a welcome one. Although you may never meet your guests they could become good friends.